New vehicle pricing includes all offers and incentives. Tax, Title and Tags not included in vehicle prices shown and must be paid by the purchaser. While great effort is made to ensure the accuracy of the information on this site, errors do occur so please verify information with a customer service rep. This is easily done by calling us at (888) 491-2693 or by visiting us at the dealership. The Rocky Mountain package is $895 will be added to all new car pricing. Package includes: tint, wheel locks, door edge guards and invisible bra. *Must qualify for all applicable rebates. Prices include all active discounts and $799 dealer handling fees. Exclusion may apply. Tax, tag, dealer installed accessories, electronic filing fee and title extra. See dealer for details. 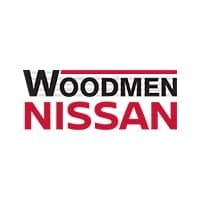 We are Southern Colorado’s premier full service Nissan auto dealer and we take great pride in the fact that we are recognized as one of the premier dealerships in the country. Our commitment to customer satisfaction and service is second to none. We simply will not be outdone when it comes to serving our customers. We offer one of the most comprehensive parts and service department in the automotive industry to help keep you and your Nissan driving safely and happily for years to come.